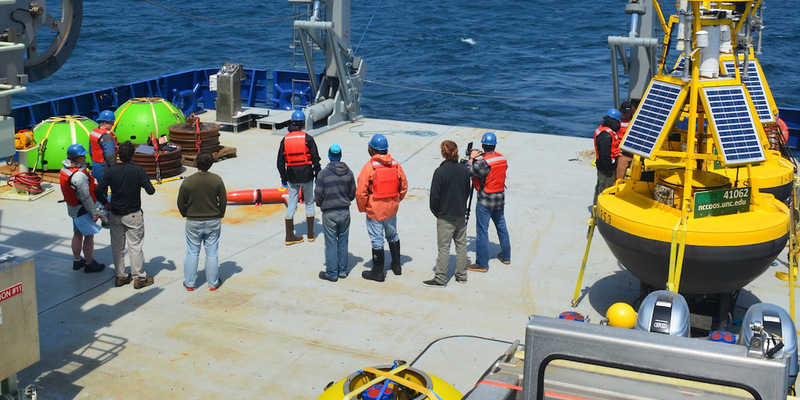 The cruise progresses, and the scientists have used calm weather days to work on instruments on moored buoys. Some deployed instruments are already returning data, showing the velocity of the Gulf Stream. 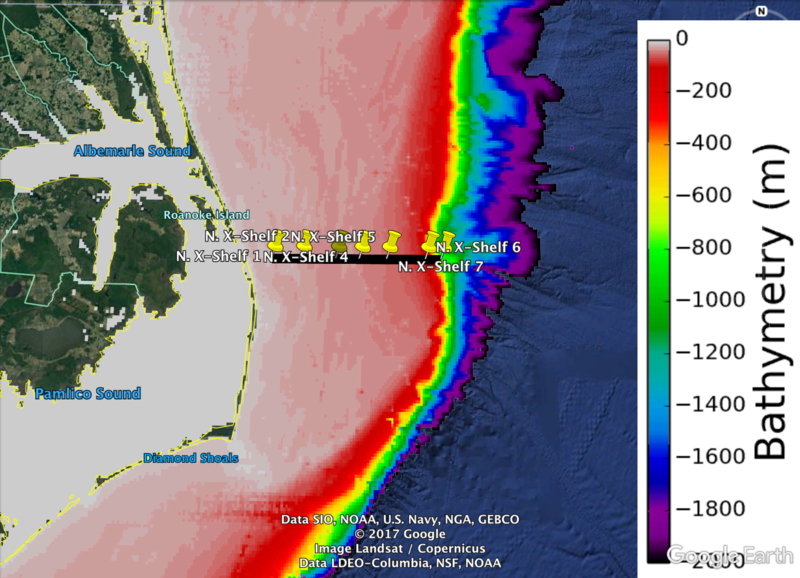 Read details of the instruments being used at the UNC Coastal Studies Institute’s site here. Read the research project overview here.